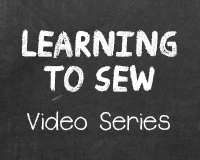 Sewing Thread Sizes Explained | Do-It-Yourself Advice Blog. Have you ever wondered what the letters in thread sizes stood for? Or why some threads are sized differently? The thread size tells you the thickness of a thread. Getting the proper thickness affects the strength, diameter, sewing machine used, and visibility. It’s an important decision. We’re going to decode thread sizes and show you what each one means and how they compare with one another. When you go to compare the size of two different threads, you’ll want to make sure you’re comparing apples to apples. There are many different methods of measuring thread size, and different countries and industries use different units of measure. Weight (Wt): Weight is measured by a fixed weight system. It is determined by measuring the length of 1 gram of thread. If 1 gram is 30 meters long, for example, then it is 30 Weight thread. The higher the weight, the finer the thread. Tex (T): Tex is the most consistent of the measuring methods. It uses a fixed length to measure the weight of a thread. Tex is the weight (in grams) of 1,000 meters of thread. Or, in other words, 1,000 meters of thread that weighs 1 gm. = 1 Tex. The higher the tex, the thicker the thread. Denier Count (Td or d): Denier also measures thread at a fixed length. It is the weight (in grams) of 9,000 meters (or 9 km) of thread. You might recognize the term from descriptions of nylon fabrics, which are often classified by the denier of the threads from which they are woven. V-69 is the heaviest commercial size recommended for home sewing machines. Heavier threads make your stitching more visible. The thread size measures the thread’s thickness. If another weight is given for thread (like ounces), it refers to the amount of thread on the spool. Thread tends to get stronger as it gets heavier. The tension on your sewing machine will need adjusting when you switch thread weights. Try to use a needle where the eye is 40% larger than the thickness of the thread. If you’d like to learn more about thread, check out our post on thread applications, Thread: From Outdoor to Home Décor, or see our Thread & Needle Recommendation Chart. Find the perfect size thread for your next project at www.sailrite.com. Update (11/19/2014): One of our readers, Sue L., sent in a Thread Size Cross Reference Chart that she put together to assist her with her work in the textile industry. It includes thread sizes and also tensile strength, weight, and diameter. Download her chart here! Thanks for sharing this with all of us, Sue. Great information! You omitted the “letter” system: A = V-30, B=V-46, E=V-69, F=V-92, FF=V-138. Don’t ask me what happened to “C” and “D”! You’re right, Sue! Poor overlooked, “C” and “D.” The letter system is used primarily for US Government Contracted work. There were actually a few I left out, opting to only highlight the most popular ones since there are so many! In fact, I’d love to see some general discussion of thread tension in one of these videos. For any given thread, you can adjust the upper and lower tension to both be high or both be low, and the “knot” will still form mid-fabric. The usual instructions tell you how, once the bobbin tension is set, to adjust the upper tension to bury the knot. But how do you decide how much bobbin tension to start with??? The novices among us might like a few hints on this….presumably the answer is different if you’re sewing two panels of light sailcloth together vs sewing corner-patches on the sail, or stitching a leather bridle for a horse. You raise some good points and a video or blog post about setting and adjusting your sewing machine’s tension is a great idea. We’ll put that on our to-do list for the future! I am a model railroader. I use thread to represent guy wires made of steel. The sizes I look for are about 2″ diameter prototype or about 0.023″ in HO (1:87.09) scale. At one time, I’d found a way to cross-reference thread types (say maybe 33wt) to approximate thread diameter so I could find my scale size. During my last computer crash I apparently lost the information. How much does thread material weigh (1gm per x cubic centimeters or pounds per cubic inch)? If you know of any other way to get average thread diameter to a thread reference number (wt, Tex, etc) I’d appreciate knowing it. I work with textiles for a living, and have put together an Excel spreadsheet of various thread designations, including material, size, TEX, tensile strength, weight, and diameter. I will gladly share it if I can figure out how to do so. Most of it I pieced together off the http://www.thethreadexchange.com website (to which I have no connection or reason to promote beyond the fact that it is informative). Nikki, is there any way of sending you my spreadsheet to have you post it here? For what it’s worth, to get a .023″ diameter, you would need a #277 / 4-cord / TEX 270 nylon or polyester thread, I’d recommend polyester for UV resistance and less stretch. P.S. – Really cool use of thread! I appreciate your attention to detail. I would be happy to post your spreadsheet here, thank you for sharing. You can email it to me at nikkid@sailrite.com. The weight of each thread would vary depending on the thickness. There are many different ways to measure thread, as Sue mentioned above there is a letter system in addition to denier, tex and commercial sizes. I just came across this when searching for help. I am needing to replace some sling seats on some patio chairs. I have the Sunbrella fabric, but since I have not sewn for a while, had put the task off. Recently while looking for the appropriate glue, I found it through a company that also sold the same fabric I had ordered 3 years ago. I also was able to get the V-92 thread, which was recommended for the fabric, in a better color, BUT it comes on a spool that does not fit on my Elna 6003 sewing machine. Now that I have been reading this, I am wondering if thread this heavy will work on my sewing machine or cause me problems with my tension. Is there some sort of adapter for the larger spools of thread that will work on a regular sewing machine, or is this thread to heavy for this kind of sewing machine? To sew a large cone of thread on your home sewing machine, you can use one of our industrial thread stands or put your cone of thread on the floor with the thread pulling off the top of the cone and thread it into your machine as usual. Some home sewing machines cannot tension the heavy, V-92 thread, but most can sew with the V-69 thread. Test it out. If your machine won’t handle the V-92 thread, try sizing down to the V-69. Will the V-69 thread be strong enough for holding the Sunbrella fabric for the “sling” seats of these deck chairs? I have an Elna 6003 and learned the largest needle that machine can use is a 16. Friday I had gone to the store where I had bought it and was told my the owner that I would cause problems to my machine. They did have the solution for the large cone of thread, but the thread size was going to be a problem for my machine, so now I am looking for someone who does upholstery and has a commercial type sewing machine. I had just ordered my V-92 from Sailrite, as that was what was recommended for the fabric that I already had. Could I return it for the V-69 if it would work for my sewing machine. I am using this fabric http://www.sailrite.com/Sunbrella-Sling-5928-0017-Augustine-Espresso-54 and it had said to use the V-92 thread since I am replacing worn out seats, will the V-69 hold up on this fabric for a deck chair? The V-69 thread is strong enough for your sling chair applications, we just normally recommend the V-92 because it’s thicker and tends to last longer, but depending on how much exposure to UV the thread gets, the V-69 should last you several years. I’ll email you directly with information on how to exchange your thread. how do you calculate % of the needle eye? You don’t actually need to calculate the percentage of the needle eye that’s taken up by the thread, that 40% is really just an approximate guideline. In other words, just make sure that the thread only takes up less than half of the space in the needle’s eye. If it is taking up more room than that you either need a bigger needle for that thread size or to use a smaller thread. I hope that helps! Do you have a particular application you need help selecting a thread for? I am confused at the Charts indicating V138 as Tex 135, I use V138 and the reels have Tex 150 on them. As I understand the V rating is a tenth of the Denier, hence V138 is 1380 Denier. If Denier is nine times Tex then surely 1380 Denier divided by nine is Tex 150 as the label suggests. Are all the charts wrong or do I need a Math lesson. Your math is correct and I understand your confusion. We based our chart off of what our manufacturers say and A&E threads claim that their V-138 is T-135 as seen in this document (under Anefil Polyester): http://www.amefird.com/wp-content/uploads/2009/10/5-Thread-Size-Comparison-Chart-2-4-10.pdf You’ll see that their next size of this particular thread is a T-210, so there may be an element of rounding down to get to the T-135. I’m in need of a suitable needle and thread for sewing a 3300 swl webbing sling, what would you recommend? I would recommend a size #21 or #22 needle and V-138 thread. However, a #20 and V-92 will also work, it is just lighter. Thank you, I can order that from Sailrite. Using V-138, the needle should be an NM140 size 22 needle but what about the needle tip for webbing? A good rule of thumb I use is cutting type points are used on leather. Any material you would not want “cut” you should use a round point. Webbing is usually a loose enough weave that round point will go through just fine. Thank you for responding, I’ll get it done.